Submission to Kick a Volley Jam! See what your ball sees and control the flight! 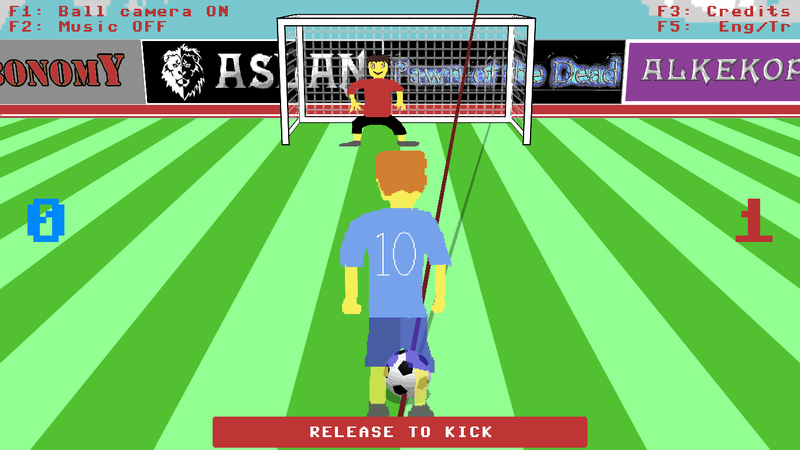 Nostalgic Commodore 64 style and 3D perspective is combined in this unique penalty shoot-out game. 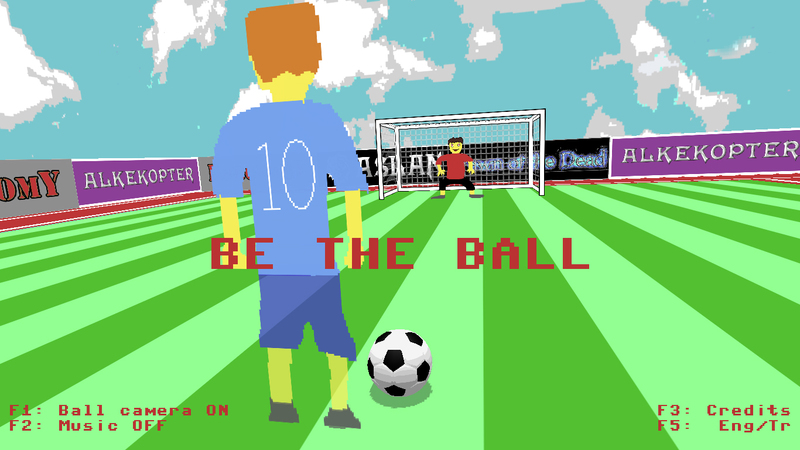 But what makes this game different is, you seeing the world from the ball's eyes and controlling the airborne ball after you kick it. 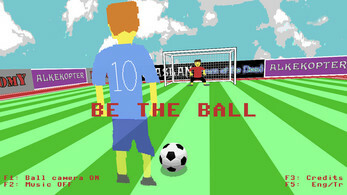 In other words, you become the ball! 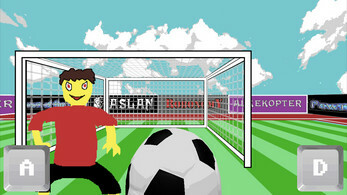 After kicking the ball, you can give additional force to the midair ball by pressing A or D.